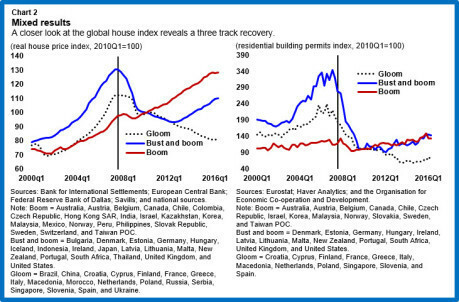 During 2007-08, house prices in several countries collapsed, marking the onset of a global financial crisis. 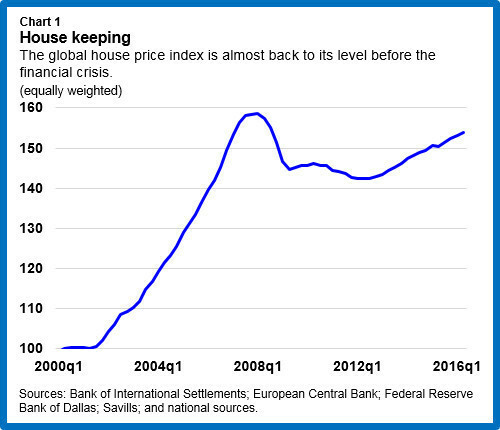 The IMF’s Global House Price Index, a simple average of real house prices for 57 countries, is now almost back to its level before the crisis (Chart 1). Is it time to worry again about a global fall in house prices? The classic study of financial crises by Carmen Reinhart and Ken Rogoff has taught us the folly of claiming “this time is different.” Still, there are several reasons to think that the present conjuncture is a time for vigilance but not panic. Many of the past housing booms were driven by excessive credit growth. But this time supply constraints appear to be playing a big role in driving some of the price booms. Residential permits have grown only modestly in the “boom” and “bust and boom” country clusters (Chart 2, right panel). The impact of supply constraints is evident in the case of many of cities. In Copenhagen and Stockholm, the increase in the housing stock has not kept up with population growth, feeding some of the price increase observed there. 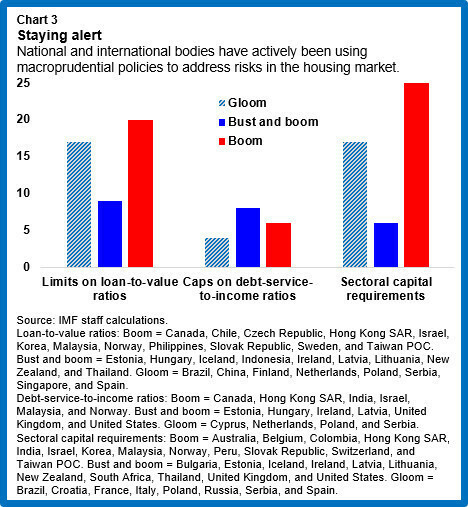 In recent years, the IMF has also flagged the role of supply constraints in some cities in Australia and Canada, as well as in many European countries—France, Germany, the Netherlands, Norway, and the United Kingdom.